The security measures taken at Quebec City's Jean Lesage International Airport are over after a suspicious package Sunday morning led to a police operation and evacuation of the airport's security zone. Package spotted in zone area after security screening point around 11 a.m. 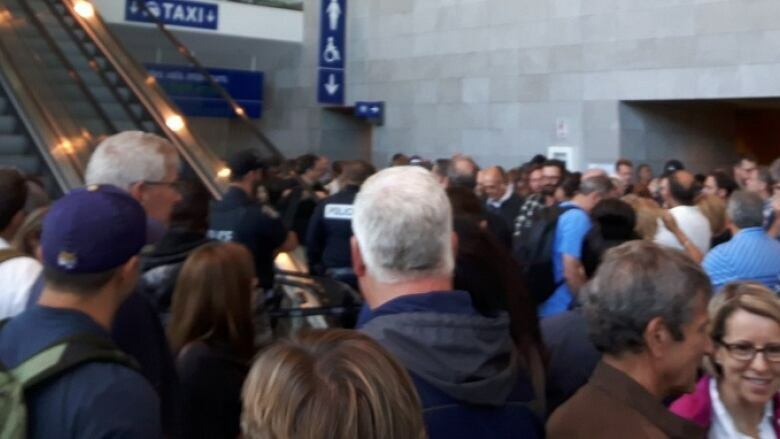 According to airport spokesman Mathieu Claisse, the package was spotted in the zone area after the security screening point around 11 a.m. The area was then evacuated by security personnel. A 100-metre perimeter was set up around the suspicious parcel. Some flights were delayed because of the disruption.